What is the real reason for this destructive rage? It is not the absence of a project, it is the nature of the projects that is at stake. The State and its representatives do not support the life forms that are experimented here and now, and for the past 10 years. These life forms prefigure a society free from the ownership logic in all its dimensions. Pierre Dardot and Christian Laval, in a translation published by Remix the Commons show their solidarity with the commoners besieged at the ZAD. 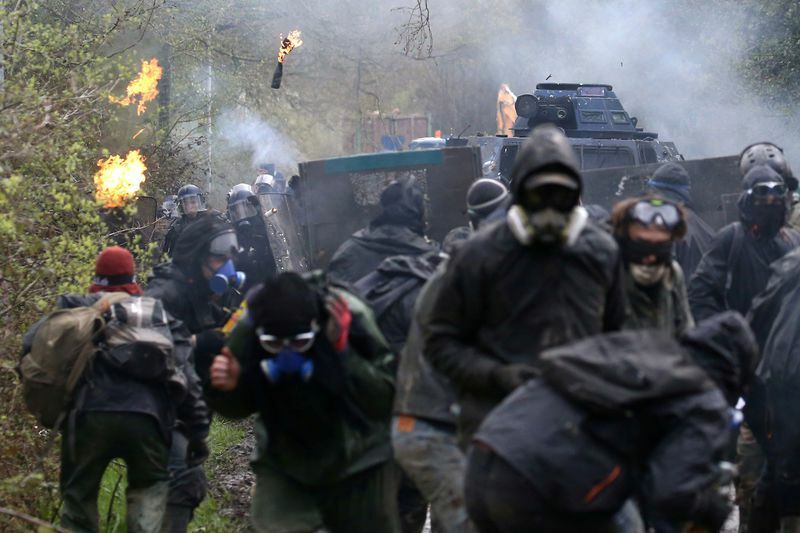 Since the first day of assault on the ZAD of Notre-Dame-des-Landes, the destruction of the farm of the «Cents Noms» was a true declaration of social and political war. The destruction of this place was by no means imperative given the criteria invoked by the government in its “communication”. Nicole Klein, Prefect of Loire Region( 1), justifies the police operation by claiming that the «Cents Noms» had not submitted an agricultural project. This is obviously false: the inhabitants of this farm were carrying an alternative agricultural project and some of them had submitted a request for regularization. What is the real reason for this destructive rage? It is not the absence of a project, it is the nature of the projects that is at stake. The State and its representatives do not support the life forms that are experimented here and now, and for the past 10 years. These life forms prefigure a society free from the ownership logic in all its dimensions. From this point of view, it is of the highest symbolic value that the inhabitants and defenders of the zone propose the Assembly of Uses to take charge of the collective management of lands and spaces from the beginning. This solution would’ve had the advantage to straightly extend the experience initiated and pursued for so many years: to make the logic of the common use which is a logic of care and nurture, or to prevail over the logic of land ownership which is a destructive and deadly logic. It is not the “Constitutional State” that defends itself, as the Prime Minister affirms, it is a State of force that wants to eliminate as quickly and completely as possible all actions that could perform the principle of the Common: associations, consumers and workers cooperatives, agricultural and craft projects, convivial modes of exchange and of life. The government wants to prevent the invention of what is a real way of producing and living by using its excessive police force. It also wants to eliminate a solidary and ecological model of life that we need today. The State shows its true face here. It is not only protecting private ownership, but it is itself completely under the logic of ownership. It is the Owner State in war against the commons. It must be defeated at all costs to preserve the treasure threatened of the commons. (1) The Prefect is a representative of the public authority in the department, directly appointed by the President of the Republic (and not elected as mayors). 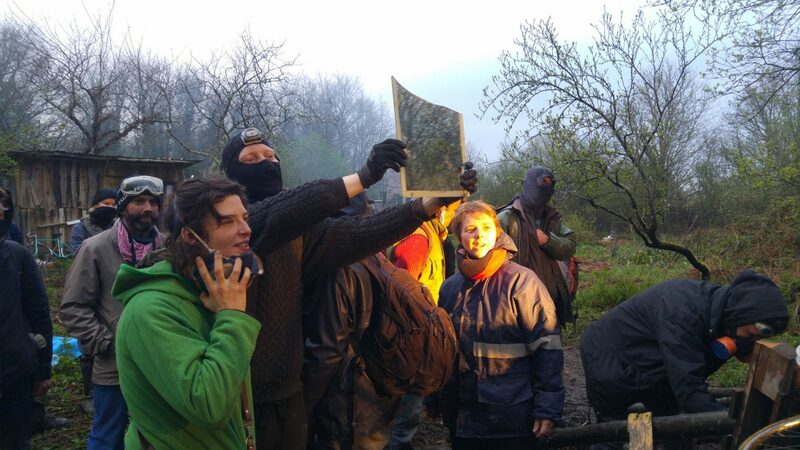 Images from the ZAD Forever blog.